AMERICAN ROAD’s 2018 “Picture Perfect” photography contest celebrates “Art” in every form. Art inspires and influences people in many ways. Submit a photograph of your favorite subject that inspires you to travel and celebrate life. Whether its a photo of a beautiful sunset, a quirky roadside attraction, or a neon sign—let your imagination soar. Send us your “Picture Perfect” photo! You could win $500 and have your photograph published in an upcoming issue of AMERICAN ROAD® magazine! 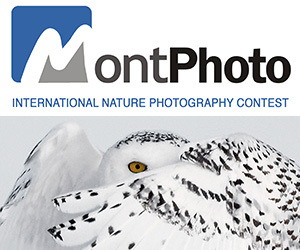 Photo entries must incorporate the “Art” theme and reflect a location/destination in the USA. What makes the shot special to you? Is it a landmark, an object, the people, the wildlife, the solitude, an event, or something else? How does your art-themed photo reflect the idea of road trip travel? Please complete the online entry form with your photo submission. There is no limit to the number of entries you may submit, but one entry form must be completed for each image submitted. *Must be 18 years of age to enter. Void where prohibited. PRIZE DETAILS: Send us your “Picture Perfect” photo! You could win $500 and have your photograph published in an upcoming issue of AMERICAN ROAD® magazine! Not eligible to enter? - Find contest where you are. COPYRIGHT: By entering the Contest, all entrants warrant that he/she is the owner of the photograph (and all the intellectual property rights in the photograph submitted). USAGE RIGHTS: By entering the Contest, all entrants grant an irrevocable, perpetual, worldwide non-exclusive license to Authorized Parties to reproduce, distribute, display and create derivative works of the entries (along with a name credit) in connection with the Contest and promotion of the Contest, in any media now or hereafter known, including, but not limited to: Display at a potential exhibition of winners; publication of a book featuring select entries in the Contest; publication in American Road magazine or online, highlighting entries or winners of the Contest. Entrants consent to the Sponsor doing or omitting to do any act that would otherwise infringe the entrant’s “moral rights” in their entries. Display or publication of any entry on an Authorized Party’s website does not indicate the entrant will be selected as a winner. Authorized Parties will not be required to pay any additional consideration or seek any additional approval in connection with such use. 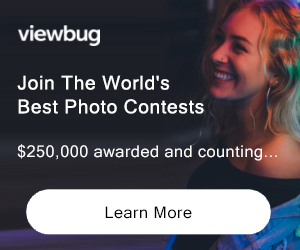 Additionally, by entering, each entrant grants to Authorized Parties the unrestricted right to use all statements made in connection with the Contest, and pictures or likenesses of Contest entrants, or choose not to do so, at their sole discretion. Authorized Parties will not be required to pay any additional consideration or seek any additional approval in connection with such use.